Listed below are the names of twenty-five organizations to which Citizenship and Immigration has given grants or contributions in the name of multiculturalism. The grants are probably close to $1 billion per year and were made in the two fiscal years 2013/14 and 2014/15. A list of another forty which have received at least $5 million in that time can be found at Immigration Watch Canada. (1) The total amount of grants for fiscal year 2013/14 was about $920 million. The total for fiscal year 2014/15 was over $720 million. These totals are only for grants that were over $25,000. If the totals included grants under $25,000, they would be substantially higher. (2) Most Canadians do not have a million dollars to throw around, but Ottawa does. And Ottawa's ruling parties don't seem to mind throwing money to ethnic groups directly or indirectly — especially if they are going to get votes in return. 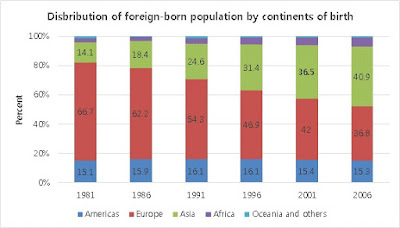 It is extremely obvious that Ottawa pays no attention to the consequences of its immigration policies on Canada's majority population. 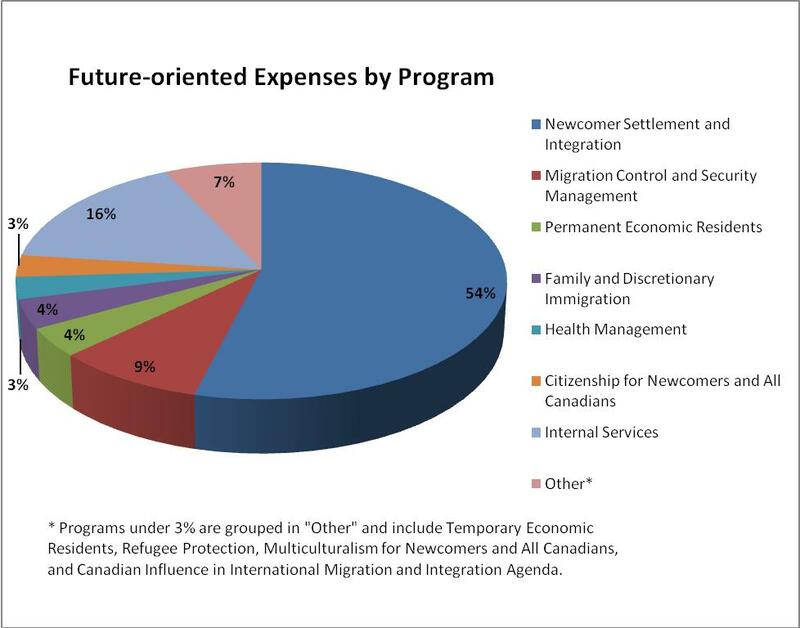 The total of these grants pale in comparison with the huge amounts that Ottawa contributes to subsidize immigrants. That total is now up to a phenomenal $35 billion per year!!! Together, the subsidies demonstrate the point that Canada's high immigration intake is not only extremely foolish, but shamelessly treacherous. 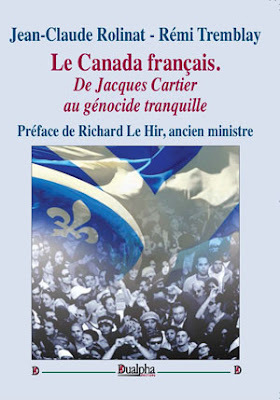 It is no exaggeration to say that Canada's Parliament consists of a majority of quislings. (3) Revelations in the past few months show that wealthy new immigrants are paying little if any income tax, yet are living in multi-million dollar mansions and grasping for every benefit they can seize. Previous other revelations demonstrate that relentless immigration has caused massive increases in house prices. Again, this information clearly shows that Ottawa continues to expect its majority population to tolerate the massive tax evasion these new immigrants have engaged in for years and assumes that its majority population will pay for what the tax evaders are not paying. It also shows that Ottawa (as well as provincial and municipal governments) see nothing wrong with the fact that tax evaders are displacing Canada's majority population in the struggle for housing. They are also making home ownership unreachable or extremely difficult and causing widespread environmental destruction and crowding that resembles the environmental conditions that prevail in the source countries of Canada's immigrants. (4) The groups that have received the grants extend from coast to coast. For example, in the list of groups that received the largest grants are groups from B.C., Alberta, and Saskatchewan. But, because Ontario has taken about half of Canada's unnecessary immigration intake, over half of the twenty-five groups that have exploited the immigration system the most are located in Ontario, particularly around Toronto. For example, the Newcomer Centre of Peel (Brampton, Mississauga and Caledon, population about 1.4 million) received $75 million (the largest grant) and is home to a large number of new immigrants (Sikhs and others) who now outnumber the former population of Peel. The group which received the third highest dollar value of grants (over $34 million) is Thornecliffe Neighbourhood Office. This is especially worth noting because, although receiving the third highest grants, Thornecliffe Park is a small section of Toronto. It has a population of about 20,000 and is home to a large population of East Indians, particularly Muslims from Pakistan and other parts of South Asia. (5) The Toronto District School Board, which is notorious for its "Don't Ask. Don't Tell." policy of providing illegal students access to schools, received over $55 million, the second largest total of grants. This group claims to be merely implementing Ontario law, but it ignores the point that immigration law in general exists to protect Canadians, not to benefit immigration lobby groups. Yet, for sentimental reasons and systemic weakness in dealing with the immigration lobby, it has ignored its former majority population and burdened that former majority population economically and overwhelmed it culturally with people that Canada never needed. (6) The grants also show that organizations like post-secondary institutions (for instance, Bow Valley College in Calgary which placed fourth in the amount of grants) and churches have either been duped into participating in this grasping for grants or have willingly participated in the widespread corruption that surrounds the entire immigration issue. (7) Groups such as S.U.C.C.E.S.S. are fifth on this list. It is important to note that this list does not include grants from provinces or municipalities. S.U.C.C.E.S.S. receives provincial grants. It is notorious for promoting high levels of immigration from Chinese source areas and depends heavily on Ottawa's grants especially.